SG Interactive isn’t content with letting Project Blackout, one of their newest first-person online shooters, stay active under the misconception of being mediocre. Oh no, they have big plans for their free-to-play shooter and part of those plans includes the recently released mode called Escape. While it seems like a typical team-vs-team, deathmatch escape mode, there’s actually a big twist to the whole concept; there are dinosaurs involved. The mode sees two teams of players battling head-to-head, with one team desperately trying to escape from a secure dinosaur facility while the other team (playing the dinosaurs of course) seek to stop the humans from escaping. Get a complete rundown of how to get an edge over opponents in this Project Blackout Dino Escape hints and tips guide. The Escape mode in Project Blackout is entirely a team affair. Each person makes a huge difference in securing victory or accepting defeat but a lot of the team efforts are based on the kind of weapons and gear you bring with you into the Escape mode. Be warned, sniper rifles, while powerful will more than likely get you murdered in the Escape mode due to their slow firing rate. Some of the best weapons to bring with you are those that have a lot of ammo in the clip and can pepper enemies very quickly without losing a lot of accuracy due to recoil. Having one or two people on the team using an LMG is ideal for holding back other players who are running around as Raptors. An LMG can usually make quick work of the smaller dinosaurs so long as someone is watching your back. Nevertheless, these heavy ordinance weapons can also slow you down greatly making them more-so ideal for support and suppression rather than getting to the escape route unscathed. It’s one thing to keep in mind if you decide to bring an LMG with you. 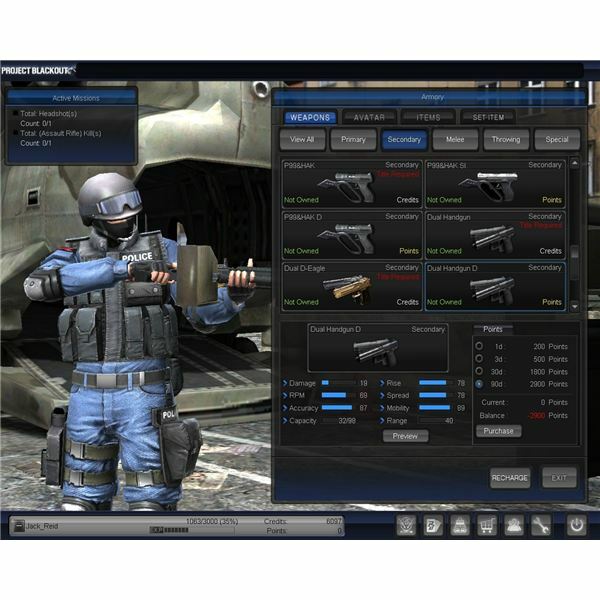 Shotguns and assault rifles are mostly the standard-fare choices for assault and infiltration aspect of the Escape mode. It’s similar to the kind of weapons you’d want to bring with you in AVA’s hospital escape due to their reliability and overall maneuverability. While shotguns don’t fire very fast they do offer a nice counter-balance of pure fire-power that will basically ruin anything lined up within the sights. The moderate speed also helps when making a dash for the exit portal. Due to the fire-rate of most shotguns on the game, however, it’s best to use it when you’re covering a fellow teammate as they head to the exit with you. If you’re playing against newbies, then it’s pretty easy getting past the dinos and making a run for the exit. There are a handful of exits aligned along the back of the wall where the T-Rex is. 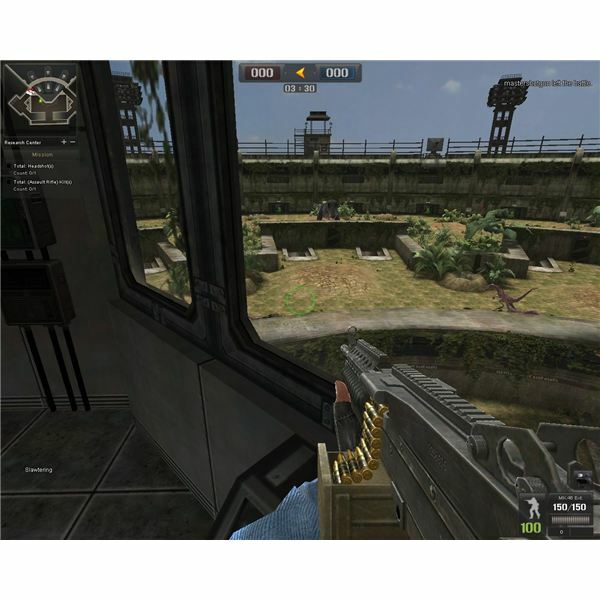 The objective is to get out of the main compound where you spawn, run through the tunnel, get across the terrace, head through a second tunnel, and then dart past the T-Rez and into the safe zone. It’s not an easy task, and unless you have some serious help, it’s simply not possible to score points for your team. One of the basic ideas behind holding off the dinos is to do a massive assault on them from one side to draw their fire. While the team uses smoke bombs, grenades and a lot of suppression fire to hold off the dinos, one or two people have a good chance of sneaking in from the opposite side of the tunnels and darting for the second set of tunnels. For those who make it to the second set of tunnels, it’s a matter of exercising a little patience and even more teamwork. For people who try to act like Rambo and run out there shooting at everything in sight, they’ll end up being food for the Rex. The way to get pass the Rex without being noticed you’ll need another good distraction. Teammates with an LMG or a heavy firepower would be useful for distracting the T-Rex from the opposite side of the compound. From there you can make a dart into the exit without even being noticed, scoring some points for the team. All right, so you have an idea of how to get to the safe zone when playing as humans, but how do you prevent players from getting to the exit when you’re trapped in the tough skin of a dinosaur? Well, it’s both easier and harder playing as the dinos due to a few factors. 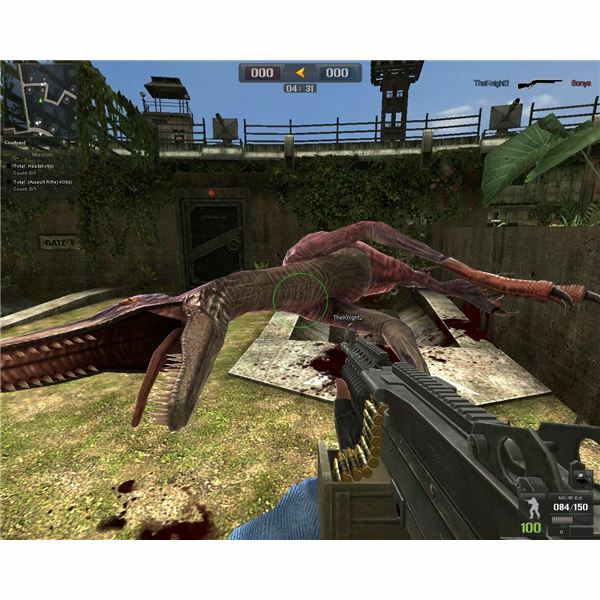 For one the dinosaurs have no projectiles and will have to rely on getting close to targets in order to land a kill. When playing as the raptors you can jump over the barricades but you can’t get into the tunnels. If you see a human competitor hiding inside the tunnels, they’re safe from your attacks unless they come out on either end. When playing as the T-Rex you can’t leave the second barrier, but you’ll have a vicious roar and your massive chompers at your disposal. The roar can disorient and partially paralyze opponents while the bite speaks for itself. 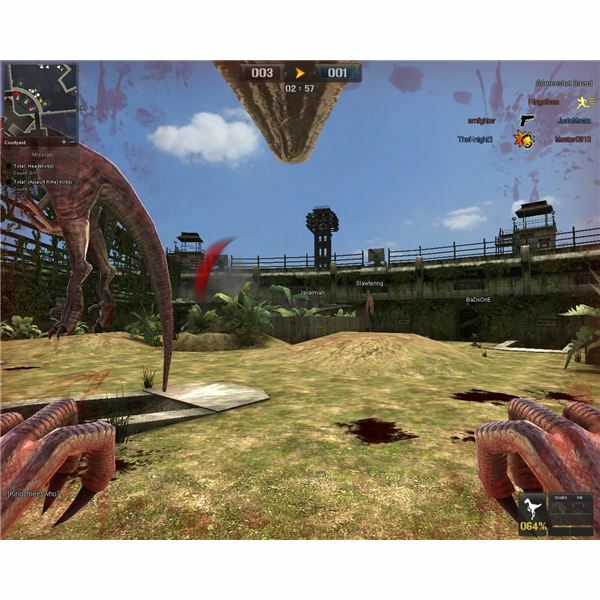 The T-Rex has the extra advantage of having a near birds-eye view of the playfield, which means you can easily coordinate with your fellow teammates to wipe out the competition. The best plan to prevent players from getting to the exit is to watch the tunnels and have one player keep an eye on the second set of tunnels to ensure that any player who slips through the first tunnel can be cut off by the time they get to the second tunnel. It’s important to have the T-Rex keeping an eye on the second set of tunnels as well to make sure no pesky tacticians get through and to the exit. 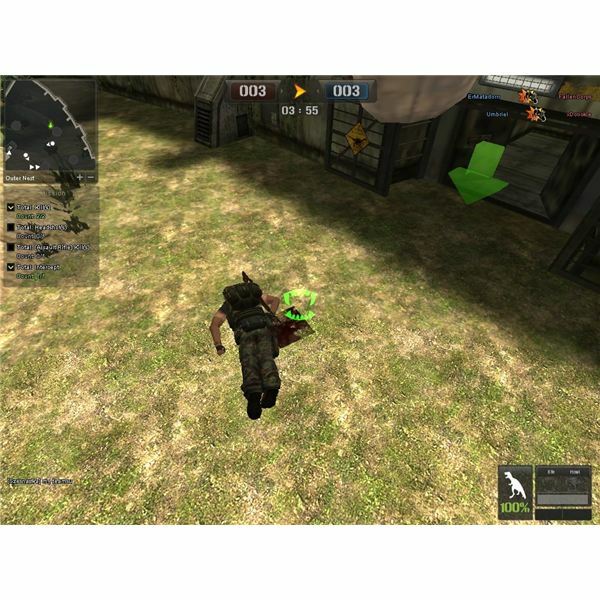 You can find more guides for first-person shooters right here at Bright Hub, or you can find similar games with the Bright Hub MMO Action Game Directory.